"You Can't Ban the Truth! 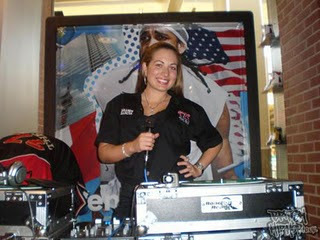 "- says former 97.9 The Box personality Brandi Garcia. There was a short mention earlier this week in the industry trades regarding Brandi Garcia leaving Houston's 97.9 The Box (KBXX). Usually it means fired, but sometimes DJ's move on to better opportunities outside of radio. With Brandi's popularity in the Houston area, however it would lead anyone to believe that she was fired. However fans rarely, if ever know why their favorite radio DJ's leave. Well in this case Brandi lets us know why she was fired in the following video. Was this a smart move on the part of Radio One Houston? The artist that caused the firing, Houston area rapper Trae Tha Truth has a lawsuit against 97.9 The Box and Radio One Houston. He alleges that The Box banned his music after he was involved in an on-air altercation with Madd Hatta Morning Show DJ Nnete Inyangumia. Here's previous posts on the pending lawsuit.